- SeaWind Musical Instruments Inc.SeaWind Musical Instruments Inc.
Canada’s Saxophone company, designed with a Vintage Sound & Modern Feel! 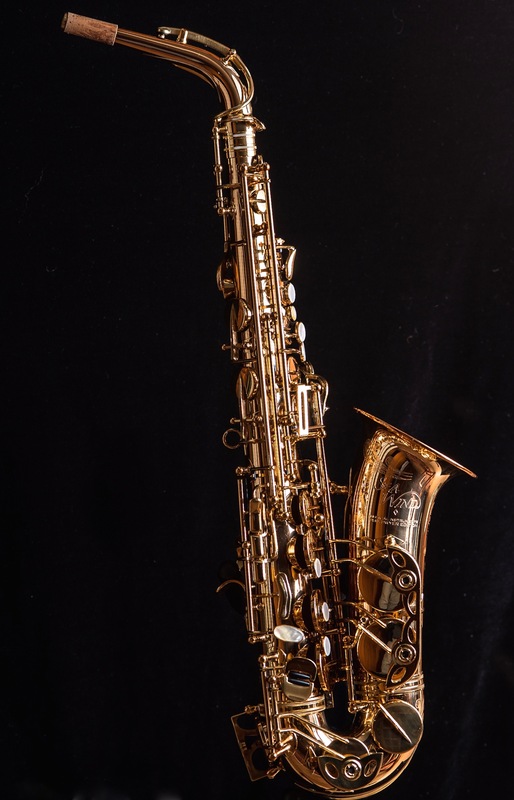 At SeaWind Musical Instruments, our commitment to build quality, meticulous setup, and high-quality materials means that when you buy a SeaWind Saxophone it plays great, and will keep playing great. If you talk to saxophone techs and retailers they’ll tell you that many of the new horns hanging on the wall at your local music store are far from being ready to play – even horns at a ‘pro’ price point. SeaWind saxophones are individually set up by master technician (and saxophonist) Claudio Fantinato, who is also the company co-owner. After the setup each horn is play-tested by Claudio and/or award-winning saxophonist Phil Dwyer (the other company co-owner). Our hands-on attention to detail and follow up service sets us apart from all other saxophone companies. We’re also very proud of our connection with Haida First Nation artist Jeremy Humpherville, who designed the limited edition engraving on the bells of our horns. Whether you are a working pro, or a part-timer or student looking for a horn to take you to the next level, SeaWind saxophones offer top of the line quality at a mid-level price point. Dan Craven – Music Educator and recipient of the Prime Minister’s award for Teaching Excellence. Visit your local Long & McQuade or Tom Lee Music and give them a try.